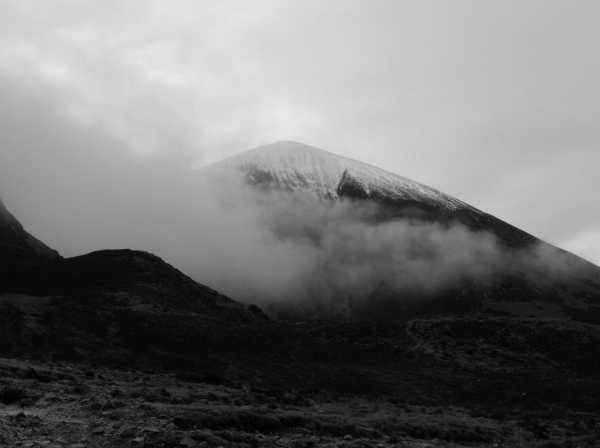 Climbed the Reek on Good Friday last in very wet, windy and snowy weather. I took the direct Pilgrims Path route from the car part at Murrisk. Needless to say as it was Good Friday there was plenty of company on this climb. As I got to the saddle at the half way point the snow and wind picked up considerably and all views of Clew Bay disappeared behind me. I soldiered on and pushed to the top in snow and wind. This is a very rewarding climb for experienced and beginners. I'd recommend plenty of breaks on the way up to conserve energy. Also, lots of warm layers to combat the wind and adverse weather you'll no doubt encounter in Ireland. I will definitely return for the challenge and to finally get a view of Clew Bay from he summit.